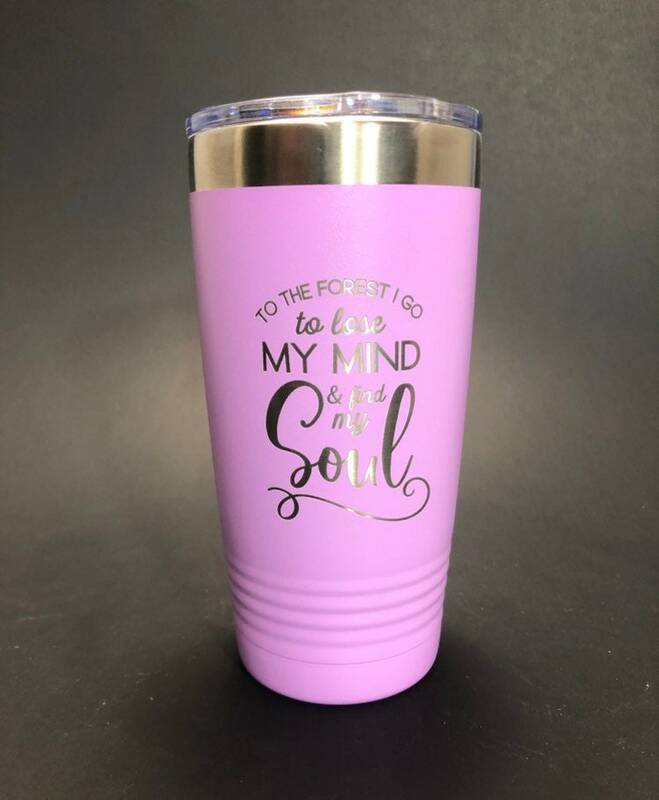 Enjoy your favorite beverage with your own Polar Camel 20 oz thermal tumbler. 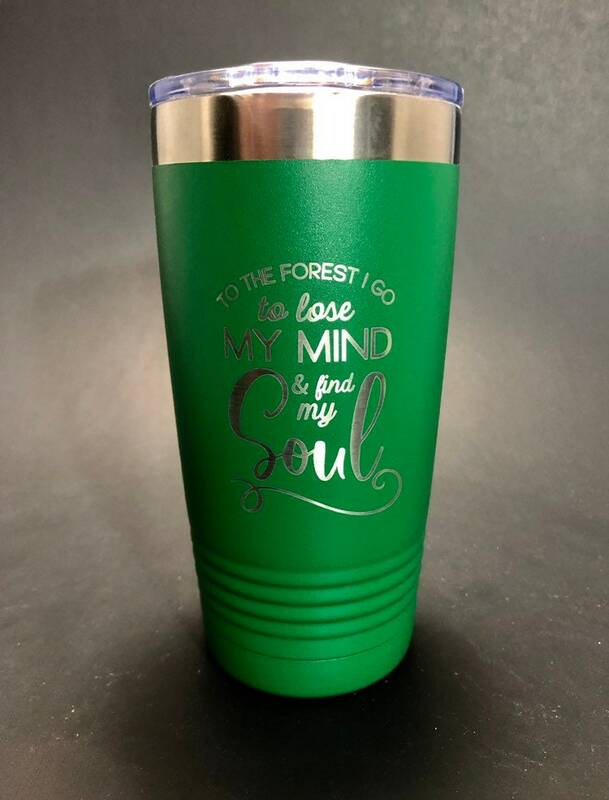 This tumbler features a design made for hikers and lovers of the outdoors. 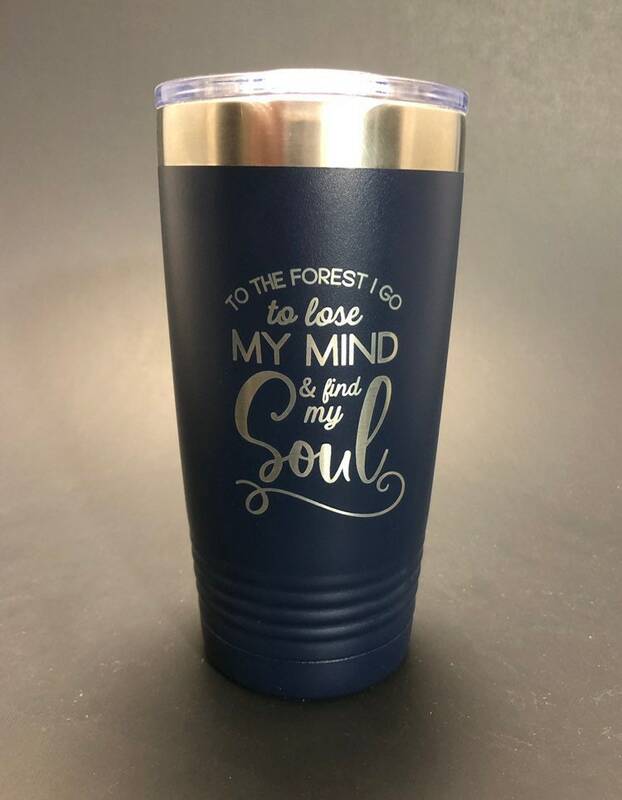 - "To the Forest I go to Lose my Mind and Find my Soul". 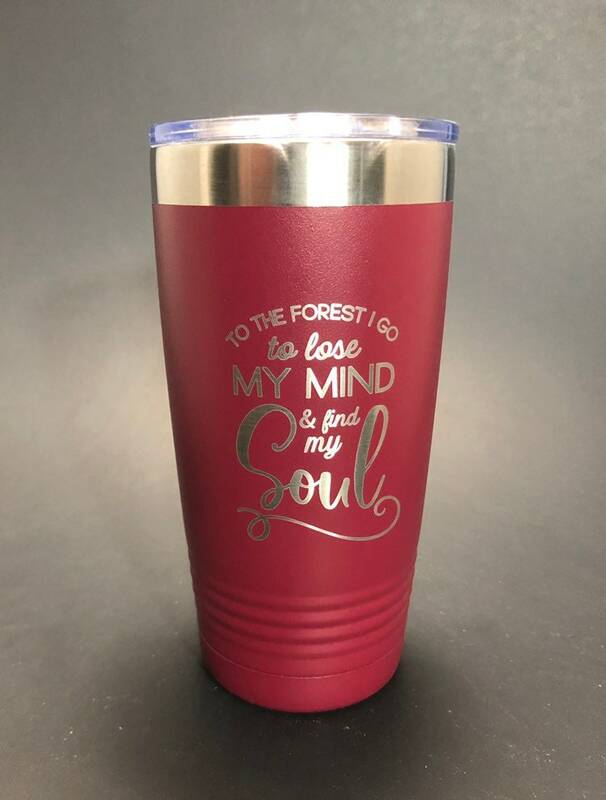 These are stainless steel insulated tumblers and are great for either hot or cold beverages. We etch and box each order in our small shop in upstate New York not too far from this lake. -We only ship to the US and Canada. Are you local to Glens Falls and want to see in person? We now have a retail location! You can find us at The Shirt Factory. 21 Cooper Street Suite G-1. Just down the stairs as you enter. We'd love to see you.